Customizing the look of Android smartphones and tablets are one of the very easy task. Users can do lots of thing on their home screens, like change wallpapers, icons, Fonts, themes and apply lots of free launchers. You can find lots of free themes and wallpapers in Google play store, to use all these customization you have to install these apps on your device. If you are bored with the look of your homescreen and want to try something new on your home screen, that changes automatically with every screen off, then you have to try the new application called 500 Firepaper. The app is developed by one of the most popular developer Chainfire, the app takes random public photos from 500px site to use as an ever-changing background. With the helps of this application you never need to look at that boring default wallpaper again and again, or not even search the web to download the latest HQ wallpapers. This free android app will show you some of the best quality photographs from all over the world. The app pulls some of the best images on the 500px.com portal and will add them on your screen. 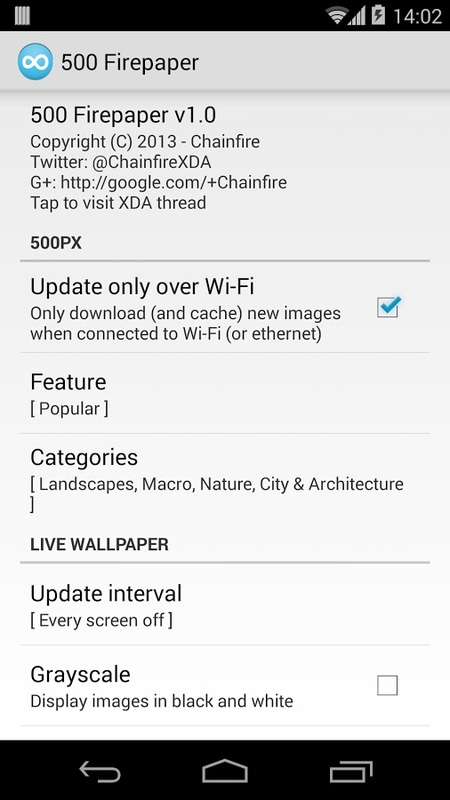 No need to download any wallpapers on your device, all you need a wifi connection and the app on your device. The application comes with lots of new features which you will use on your device. Some of features we like most about this app are wallpaper categories, update interval and daydream showing. 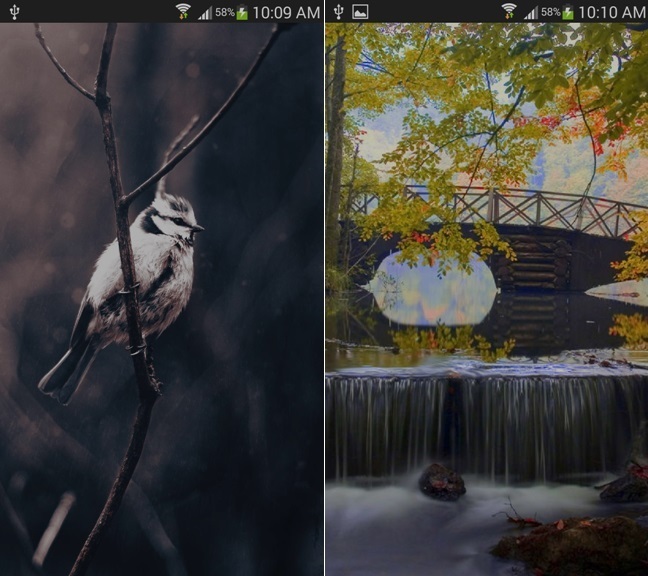 From the Feature option of the application you can select Editors Choice or Most Popular wallpapers. In category you will see the huge list of wallpapers selection, all you have to choose you favorite one and set the interval time to change the wallpapers on your screen. After that you will see lots of new and quality wallpapers on your home screen. The app also features a Daydream mode, which is similar to a PC screensaver that can be displayed while docked or charging. One of the best application to change the look of your android home screen, you must try this application once on your device to see the best feature of the app. Download 500 Firepaper Android app here.